Recently the Cardiff Story museum held its fifth birthday party. 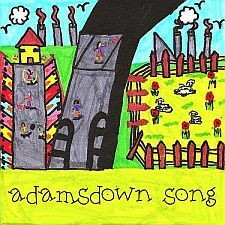 They’d heard about Adamsdown Song and This Is the Sound of Adamsdown and asked me if it would be possible to have some of the songs performed. I was delighted when Adamsdown Song’s original singer, Jessicca Hornby, agreed to reprise her great performance, albeit an octave lower. Jessicca is now better known as a star of Educating Cardiff and was a great inspiration to her new backing singers, some of whom may have been related to me!